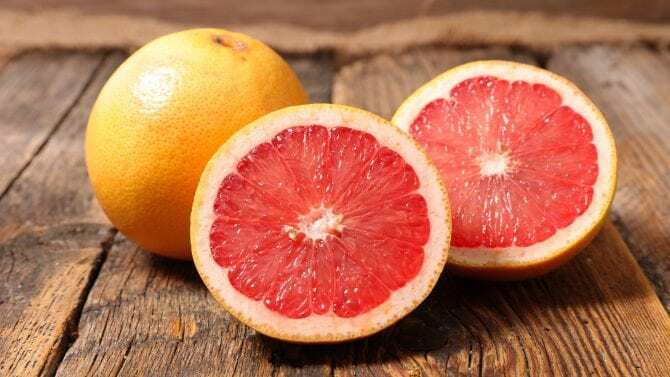 Do not mix grapefruit juice with antihistamines, blood pressure drugs, thyroid replacement drugs, birth control, stomach acid-blocking drugs and the cough suppressant dextromethorphan. Grapefruit can increase or decrease the absorption of certain drugs. It causes the body to metabolize drugs abnormally, resulting in lower or higher than normal blood levels of the drug. It’s best to avoid or significantly reduce intake of grapefruit juice when taking these medications. Unlike other citrus juices, grapefruit juice contains a class of compounds called furanocoumarins, which act in the body to alter the characteristics of these medications. Orange juice and other citrus juices do not contain these compounds. There is some concern for Seville oranges and the pomelo, which are relatives of the grapefruit. Do not mix these items with ACE inhibitors such as captopril (Capoten), enalapril (Vasotec), and lisinopril (Prinivil, Zestril), used to lower blood pressure or treat heart failure. And avoid mixing with some diuretics, such as triamterene (Dyrenium), used to reduce fluid retention and treat high blood pressure. These foods are all high in potassium, which helps provide electrical signals to heart-muscle cells and other cells. Consuming them with these medications could increase the amount of potassium in your body and may lead to an irregular heartbeat or heart palpitations—which could be deadly. Do not mix these items with blood thinners such as warfarin (Coumadin). Foods that contain a lot of vitamin K, such as these greens, can reduce the drugs’ ability to thin the blood. In some people with heart disease, that could trigger a heart attack or a stroke. Once you begin taking warfarin, maintain a consistent diet and don’t suddenly overload on leafy greens. Do not mix these items with digoxin (Lanoxin), used to treat heart failure and abnormal heart rhythms. It’s also best not to consume real black licorice with most blood pressure drugs, blood thinners, and birth-control pills. Real black licorice (and products with licorice extract, as opposed to licorice-flavored candy) contain glycyrrhizin, which can cause an irregular heartbeat, or even death, when combined with digoxin. Glycyrrhizin may reduce the effectiveness of most blood pressure drugs, intensify the side effects of blood thinners, and raise blood pressure and lower potassium levels when consumed with birth-control pills. Do not mix these items with tetracycline. The calcium in these foods and products can interfere with the body’s ability to absorb the antibiotic fully. Do not mix these items with drugs such as metronidazole (Flagyl) and linezolid (Zyvox), used to treat bacterial infections. These foods, along with tap beer, red wine, and sherry, contain tyramine, an amino acid that can cause blood pressure to spike if taken with linezolid. Tyramine is also found in foods that are aged, pickled, fermented, or smoked, such as processed cheeses, anchovies, and dry sausage. Alcohol and metronidazole together could cause nausea, stomach cramping, and vomiting. Do not mix these items with thyroid drugs such as levothyroxine (Levothroid, Levoxyl, Synthroid). These high-fiber foods can prevent your body from absorbing these medications. If you eat a high-fiber diet, try taking your medications later in the evening.